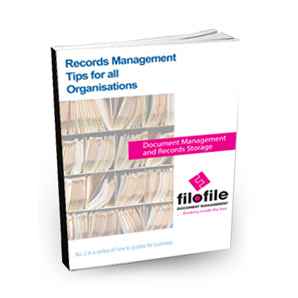 Risk a fine or even prison if you don’t keep company records safe! Organisations, large and small, are looking to companies like Filofile for strategic solutions to the growing mountains of boxed paper records that they are legally required to hang on to for several years. 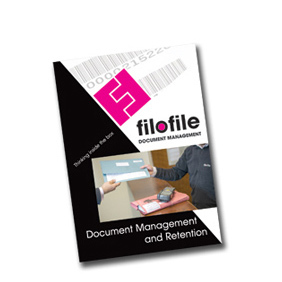 We acknowledge most businesses will be keen to stay on the right side of the law and Filofile’s document storage and management helps companies with compliance. A salutary tale of what can happen if you fail to keep those important records was highlighted by Materials Recycling World (MRW) recently. The magazine ran a story that demonstrates the importance of keeping company records. Did you know you must keep records for six years from the end of the last company financial year they relate to, or longer if: they show a transaction that covers more than one of the company’s accounting periods or if the company has bought something that it expects to last more than six years, like equipment or machinery? Failure to provide company records saw a former waste firm director in Warrington handed a 28-week suspended prison sentence, ordered to perform 250 hours of unpaid work and pay prosecution costs of £8,901. Lee Smith, who was a director of Smith Waste and Recycling (SWR), was also disqualified as a director for seven years after failing to deliver company records to the Insolvency Service that it said might have explained £500,000-worth of suspicious bank transfers and cash withdrawals. SWR entered into a creditor’s voluntary liquidation in November 2014 and independent insolvency practitioners were appointed to take charge, but Smith failed to share accounting information despite several requests from both them and the Insolvency Service. The service said this meant investigators could not explain cash withdrawals from SWR’s bank accounts between September 2013 and September 2014 totalling just over £430,000 and whether they represented genuine business expenditures. They could also not explain more than £86,000-worth of transfers made in 2014 to two companies connected to Smith, his remuneration or the state of SWR’s assets and liabilities. At an earlier hearing, Smith pleaded guilty to one count of misconduct in the winding up and another of failing to keep accounting records. Insolvency Service director of criminal enforcement Arwel Jones said: “Smith’s behaviour throughout the liquidation has been highly unacceptable. Failing to deliver any form of company records means that his creditors are at risk of losing a significant amount of money.” He said the seven-year ban “should serve as a deterrent to those directors who fail to conduct their business affairs in accordance with the law”. 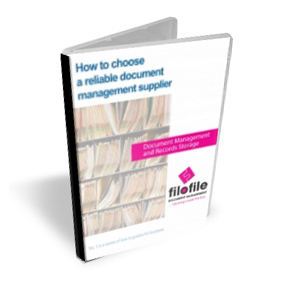 Fortunately, when organisations need to know how to best tackle secure records management and storage solutions they turn to Filofile for peace of mind knowing that in the future they will be able to find and retrieve information quickly.